Established in 1935, Chandlers Used Challenger Tractors are main dealers for Challenger Tractors in Lincolnshire, Rutland and Leicestershire, and have been since the acquisition by AGCO of the manufacturing and distribution rights of the CAT Challenger MT series tracked tractors in 2002. In 2010 Chandlers Used Challenger Tractors achieved the coveted top level AGCO 5 star award for dealer standards for sales, parts and service excellence, a worldwide dealer standards program. Chandlers aim to provide the very highest level of customer service in supplying quality used Challenger tractors. Chandlers Used Challenger Tractors are a family owned company based in the farming county of Lincolnshire in the UK. Established in 1935 Chandlers have a long standing reputation supplying both new and good quality used tractors and machinery to the local farming community for a wide range of applications. 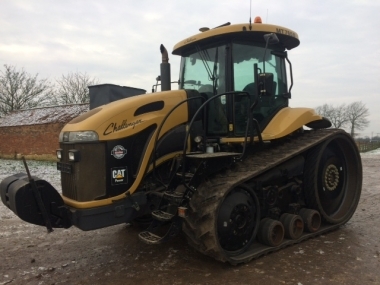 New and used Challenger tractors are supplied for use in arable, vegetable and root crop farming throughout Lincolnshire, Rutland and Leicestershire resulting in a large and changing stock of good quality pre-owned used Challenger tractors at Chandlers Used Challenger Tractors. 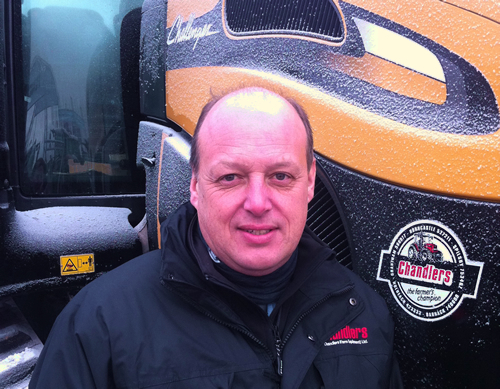 Chandlers are proud to have been selected as one of the handfull of dealers in the UK to have been awarded the Challenger franchise when the distribution and manufacturing rights of the purpose built tracked tractor the CAT Challenger MT series were acquired by AGCO in 2002. In response to the new Challenger franchise Chandlers establised a dedicated Challenger brand manager within the company to act as Challenger sales specialist to provide the highest levels of customer support for this professional farming product. This strategy has worked well and is continuing today when you are interested in a Challenger product you can contact Chandlers Challenger specialist Clive Barber for a prompt and professional service. 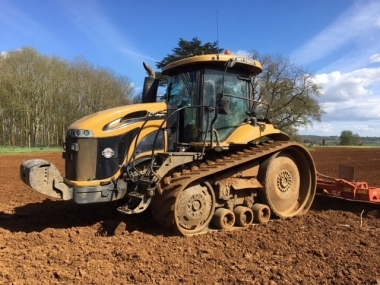 Chandlers investment in providing a professional service for the Challenger tracked tractors also included the training of our parts and service staff. Each of Chandlers six depots throughout Lincolnshire has a specialist team of Challenger technicians who have had extensive training and experiance on the Challenger product to handle the service and maintenance of this main line professional product. If you require parts for your Challenger tracked tractor or Rogator self-propelled sprayer, Chandlers have a purpose built retail website with every single Challenger part listed. 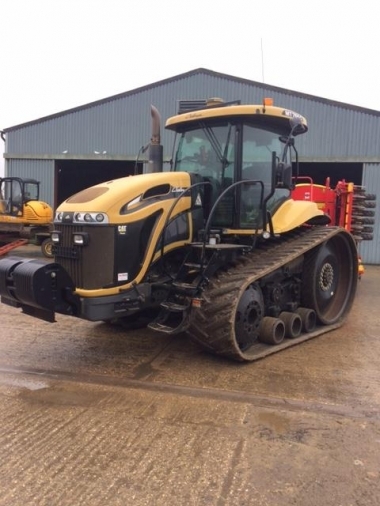 Visit www.challenger-parts.co.uk who will respond to your enquiry promptly and efficiently, supplying you just the right used Challenger tractor for your needs.